toma (Grade: 4/5) The Hobbit is, of course, a classic. I find it's best approached as an easy introduction to Tolkien's world of literature; being the most accessible and having the, for lack of a better phrase, most straight-forward plot. 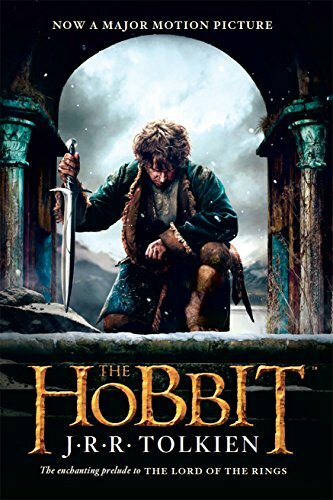 Seeing the character of Bilbo Baggins develop alongside his adventuring Dwarf companions in an epic adventure is a tale that is both timeless and charming. Some parts are a little dry but there are plenty of fast-paced scenes to keep interest alive. TheRaven42 (Grade: 5/5) I first read the Hobbit when I was about 10, and I think it's one of the books that really fuelled my love for books. I would highly reccomend it to people of all ages, it's wonderful. kynswain (Grade: 4/5) For a children's book this story was amazingly detailed. I was enthralled. Beautiful book. caitie89 (Grade: 4/5) I read this book for school in grade 12. I enjoyed the novel and I would recommend it to anyone who likes fantasy and is looking for an intense read! KittyFiend (Grade: 4/5) I have always wanted to get into The Lord of the Rings, so I figured The Hobbit was a really good place to start. Overall I thought The Hobbit was a very fun story. Each chapter feels like a new adventure where there is a new mini-plot with a conflict and a resolution. Sometimes this kind of writing bothers me, but in this case I found it fun an interesting.